Join the Nice Wine Club! We offer 5 different wine clubs geared toward wine education and exploration. Our Sommeliers, Winemakers, and Nice Winery Team select wines created by small, family-owned, sustainably-farmed wineries; friends we've made on our own winemaking journey. You'll receive Nice Wines periodically as well! We invite you to experience wines that we enjoy and learn about regions and food pairings along the way. We look forward to having you as a member! - Members are the first to hear about out and sign up for our new releases, events, and news. Designed for wine aficionados who enjoy big, bold, red wines. Receive two bottles of steak-worthy, exceptional reds every month. Each shipment is valued between $85-$125. Designed for wine lovers who only see red. 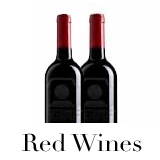 Receive two new and unique red wines from all over the world every month. 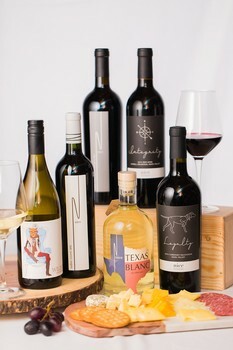 Wines include light, medium and full-bodied red selections. Designed for wine lovers who want to try new and exciting wines from all over the world. 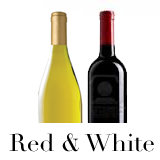 Receive one white and one red wine every month. Designed for white wine lovers. 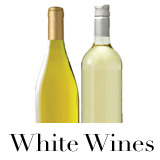 Receive two new and unique white wines from all over the world every month. The club that receives exclusively Nice wines, created by our winemakers. Nice Winemakers' Club members are the first to receive our new releases. Each shipment includes six bottles, 3 times per year. 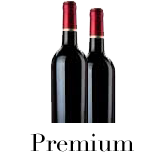 It’s the best way to receive our small-production wines at an incredible discount! $199 per shipment. Sign-up requires a three shipment minimum. 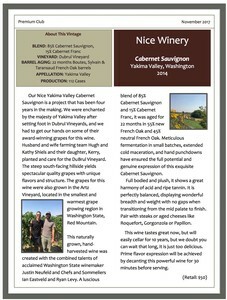 Click the image to see an example of the wine selection and wine education included in your monthly Nice Wine club shipment! 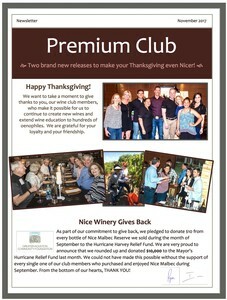 Want to Gift a Wine Club Membership? Select either a 3-Month, 6-Month, or 1-Year membership under "Club Options". Then, enter the recipient in the "Shipping Information" at checkout and be sure to include a gift message. Any questions? Give us a call!